Navy is my favorite team in the conference to play and without question, the best road trip in our league. 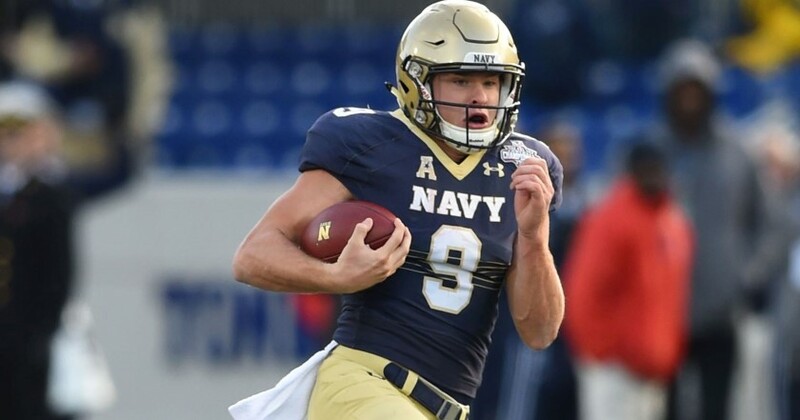 Personally, I love everything about the Navy program: how they recruit, who they recruit, how they beat more talented teams, the discipline, the toughness…everything! Navy must recruit nationally to find the best and the brightest. But 102 players on their roster reside from just 8 states: Maryland, Pennsylvania, Virginia, Florida, Georgia, Tennessee, Texas, and California. What state sends the most players to Navy? That would be landlocked Tennessee (19). Texas sends the second-most with 17. All together, 72 players come from the 10 states of the American Athletic Conference. And Navy recruits heavily in the south: it’s my opinion that southern football is superior to northeast, rust belt, midwest, and west coast football. Navy has 87 players from the old south. After last season’s 7-6 finish, Ken Niumatalolo announced that Malcolm Perry would replace Zach Abey as the starting QB. Abey was moved to WR after spring practice – effectively shelving him. So far, that decision has been a failure: Navy has just 1 FBS win (Memphis) and they’re scoring 23 ppg against FBS opponents. Last year, Abey ran for 1413 yards and 19 TDs, the second-most rushing yards in school history. He also ran for 5 TDs in their bowl win over Virginia. As a WR in 2018, he has 0 catches. He has been effective as a short yardage RB, though: Abey has 20 rushes for 7 TDs and 7 first downs. In 6 games at QB in 2018, Perry has run for 632 yards and 6 TDs. Just doesn’t make sense. Next week, Navy is the “home” team against Notre Dame in San Diego. Navy will also be the home team at Army/Navy in Philly. In fact, after the UH game, Navy plays just one more game in Annapolis this season (Nov. 17 vs Tulsa). 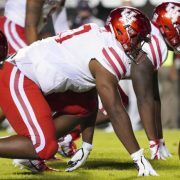 UH has 3 more home games. With trips to Hawaii, San Diego, Air Force, SMU, Cincinnati, UCF, Tulane, as well as the Army/Navy game, the Middies have the most difficult road schedule of all mainland FBS schools this year. That’s 26,496 miles if you’re counting. Only Hawaii (38,578 miles) has a more difficult road schedule. Memphis is the least traveled team in the AAC West – just 5,118 miles in 2018. 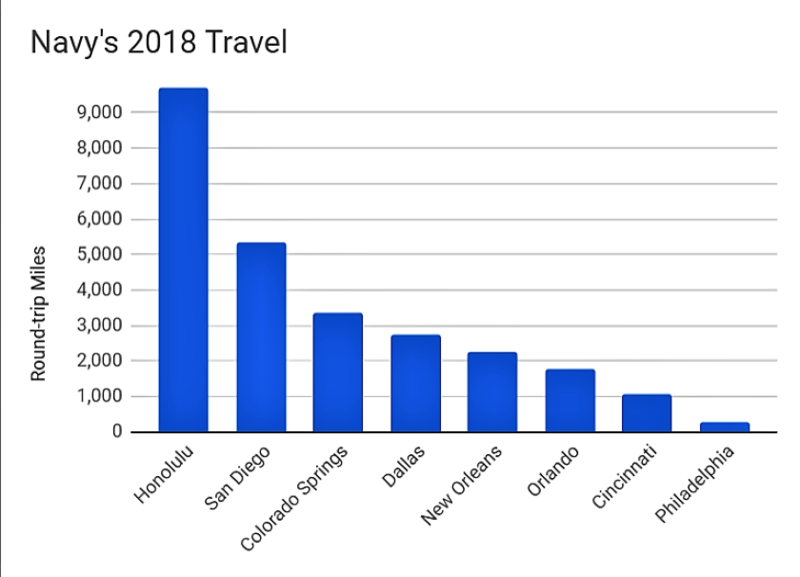 Navy has 4 trips over 2,000 miles round-trip in 2018. Navy went from September 15 to October 13 without a home game and after the UH game, will go October 20 to November 17 between games in Annapolis. The Midshipmen play 5 of their final 6 games away from home and 8 of 13 on the road overall. How do you have sustained success? Stability. The Navy coaching staff has a combined 165 years at the Naval Academy. Nine of their coaches have been in Annapolis over 10 years and Ken Niumatalolo has been at Navy 21 years (11 as head coach). Could Navy get to 40 minutes TOP? Navy is sixth in the country at 34:27 a game while UH is second to last at 24:49. 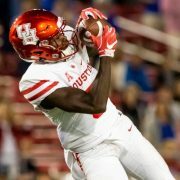 The Coogs need to be able to strike fast this weekend. This season UH averages 77 plays per game while Navy gives up just 64. Dig deeper: plays don’t really matter for UH. It’s possessions. Chances. 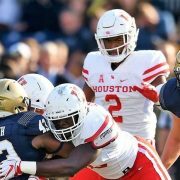 UH averages 16 offensive possessions per game while Navy limits opponents to just 12.3 possessions per game. That could be big. How about the next month: beginning with UH, Navy faces the Coogs (5-1), Notre Dame (7-0), Cincinnati (6-0) and UCF (6-0). That’s a combined 24-1 … and only the UH game is in Annapolis. The Mids feast on close games: Navy is 35-25 (.583) under Niumatalolo in games decided by eight points or less. Under Niumatalolo, the Mids are 58-15 (.795) when scoring 30 or more points in a game. Navy is 1-1 vs. 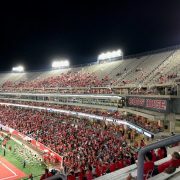 UH in games where they score 30 since joining the AAC. The Mids are 74-18 (.804) when holding the opposition to under 30 points. UH has scored 30 on the Middies twice in AAC play (going 1-1).